Vesicare is prescribed for an overactive bladder or urge urinary incontinence that encompasses sudden urgency to urinate, a more frequent need to urinate, and an uncontrolled passing of urine. Can I buy Vesicare online? The Online Clinic can prescribe Vesicare in certain circumstances. Please complete the short online consultation, which will be reviewed by a doctor. If you are approved you will be able to make a purchase online for next day delivery. Vesicare contains solifenacin succinate as its active substance. Solifenacin is a member of the anticholinergic or antimuscarinic group of medicines. Stimulated by the natural transmitter acetylcholine acting on muscarinic receptors of the bladder detrusor muscle, the detrusor muscle involuntarily contracts causing the bladder to empty of urine. This is an ‘involuntary’ process, meaning that you do not have conscious control of this bodily function – it just happens. Vesicare stops acetylcholine from accessing the receptors in the detrusor muscle, thereby preventing them from contracting too frequently. As a consequence, the bladder is able to store more urine, and the urgency and frequency of urination is reduced. Vesicare is a film-coated tablet that comes in strengths of 5 mg and 10 mg. Usually, the dose is 5 mg a day. Some people need 10 mg while others with moderate to severe kidney or liver impairment must not take more than 5 mg a day. Your doctor will let you know which dose to take. Tablets are swallowed whole with water but taking them at meal times is not essential. Do not stop this medicine unless consulting you doctor because your overactive bladder symptoms may worsen or return. When forgetting a dose, you can take it when you remember provided it is not close to the time of the next dose (you must not take two doses at the same time). Get immediate medical help if you take more tablets than you have been told. Vesicare is for people 18 years and older. Vesicare is not recommended for people who have an allergy to solifenacin or to any of its other components (such as lactulose), cannot pass urine or empty their bladder completely, or have a severe gastrointestinal condition, severe liver disease, myasthenia gravis (this can cause muscle weakness), or glaucoma. Pregnant and breastfeeding women should not take this medicine. You will not be offered Vesicare if you have either moderate liver disease or severe kidney disease and are also taking a medicine that could reduce Vesicare’s clearance from the body. Extra caution with Vesicare is suggested if you have other urinary (e.g., obstruction) or gut problems (e.g., constipation), moderate liver disease or severe kidney disease, hiatus hernia, or autonomic neuropathy (a disorder affecting the nervous system that effects ‘unconscious’ control of body function). 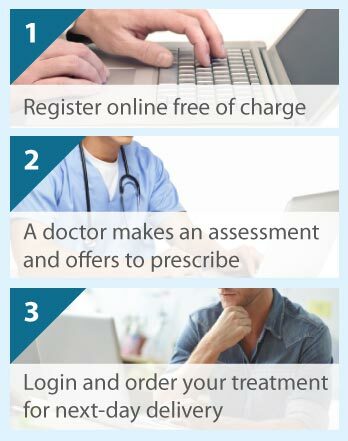 Your doctor will want to know about all medicines that you take now, have recently taken or may soon take. It is most important to mention other anticholinergics (these increase Vesicare’s effects) and cholinergics (these decrease Vesicare’s effects); agents increasing the rate at which the gut works (e.g., metoclopramide; Vesicare interferes with this action) or causing inflammation of the food tube (e.g., bisphosphonates); and antifungals, HIV medicines, heart medicines, antibiotics, and anti-seizure agents (some alter the duration of effect of each Vesicare dose). Dry mouth is a very common side effect. Commonly reported unwanted effects include blurred vision, and disorders of the digestive system such as nausea, belching, indigestion, and abdominal discomfort or pain. Some people experience tiredness/sleepiness, urinary tract or bladder infections, problems urinating, fluid accumulation in the lower legs, gastro-oesophageal reflux disease, and dry eyes and nasal passages. Rarely, hard stools impacted in the large intestine, urinary retention, headache, dizziness, and rash are reported; and very rarely, individuals become confused or hallucinate, or have disorders of heart rhythm and rate, and high blood potassium levels. Upon any signs of an allergic attack, such as severe skin reactions (e.g., blistering, or swelling of tissues beneath the skin’s surface) or breathing difficulties, Vesicare must be stopped and a doctor notified immediately.